As most of you that follow my blog are already aware, Donna’s kidney failure has continued to progress, we are now at 10%. And, as I’m sure most of you that are pretty close to me are already aware, I’ve been hanging around the house for the better part of the last year or so –not that I’m a huge help around the house or anything, because I’m not, and not because I do a wonderful job wrangling our 4yr old Spencer, because I have no clue and a serious lack of judgment that gets me and him in trouble sometimes… but part of me has wanted to hang around the house and at least be within an earshot in case I’m needed. I can state with 100% certainty that these past months have been trying for Donna, I have a tendency to always screw up something without even trying… bless her heart. 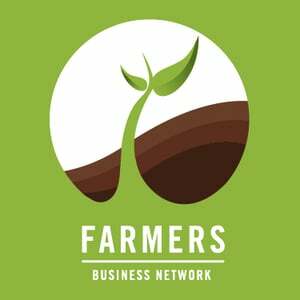 Farmers Business Network is proudly Farmers First. Created by farmers for farmers, FBN is an independent and unbiased farmer-to-farmer network of thousands of American farms. FBN democratizes farm information by making the power of anonymous aggregated analytics available to all FBN members. The FBN Network helps level the playing field for independent farmers with unbiased information, profit enhancing farm analysis, and network buying power. As I’m sure most of you that have researched the company are already aware, FBN has revolutionized the way farmers are able to use their precision agriculture data. After spending about 5 minutes inside the dashboard of the data product this past week in Silicon Valley I came to the realization that if the company decided to stop right now, they would have a sustainable business model that would be one of the best tools available to farmers since the tractor was invented. The company has raised close to $43 million in venture capital in just a short period of time. Fun fact, Google Ventures led the first round of capital with KPCM, two of the biggest venture capital firms in the world. Fortunately the entire team at FBN remains so driven to continue providing value to the American Farmer that there’s no doubt in my mind we are going to be disruptive players within the industry for many years to come. One of the newest service offerings (aside from our data product) is our procurement services. In agriculture one of the biggest issues facing farmers today is the rising cost of their inputs (seed, chemical, fertilizer, fuel, etc.). While our data product allows farmers to make better decisions based on actionable data, our procurement service might be one of the biggest industry disruptions we’ve ever experienced. My role in the company is to help grow the procurement business, primarily in the mid-south since the vast majority of our existing clients in the midwest were introduced to procurement earlier in the growing season. The results have been phenomenal and everyone I’ve spoken with has been amazed at how successful we’ve been given the fact that the ag chemical marketplace is saturated with large corporate entities that are more concerned about profits and shareholders than they are delivering value and sustainability to farmers. So, is FBN procurement that big of a deal? You better believe it. By negotiating directly with manufacturers we are able to save farmers as much as 40% on herbicides, pesticides, etc. In one instance that I learned about on my last trip to California, a grower in the midwest saved $130,000.00 in one growing season. Essentially we have setup a direct relationship with our farmers and chemical manufacturers, this cuts out a few “middle men” in the equation and really presents a value to farmers. Okay, so my role with the company is really more or less business development. I’m going to be working primarily in Arkansas with farmers to onboard them into the FBN system and give them some amazing deals on chemicals. While I’m primarily working with farmers in the mid-south I’m also going to be getting my dealers license for Arkansas, Mississippi, Tennessee, and Kentucky. I have no misconceptions regarding the challenge that lies ahead with introducing an entirely new way of doing business to farmers. I think there’s a school of thought among a select handful of people that we are going to eventually eliminate agronomists and crop consultants but that couldn’t be further from the truth. In fact, I’m not going to be out walking fields and making recommendations to farmers regarding herbicides, etc., instead I’m going to be promoting FBN membership and then helping get those farmers plugged into our procurement services. I like to tell everyone that we are sort of the amazon.com of farm chemicals. This past week after I returned from Silicon Valley I began the process of easing back into a routine and for the most part it hasn’t been near as bad as I thought it would be, in fact, it’s been pretty exciting. Next week I have several meetings lined up across the state and I’m really looking forward to getting back to my roots on the farm. As we’ve recently restructured the company I feel like we are going to be huge players in the industry in a very short period of time. Recently I’ve found myself grinning from ear to ear for no apparent reason other than I’m happier than I’ve been in a long time and I’m going to be able to be a part of a historical movement with an amazing group of people. If you are a farmer and would like to learn more about FBN Procurement, be sure to drop me a note!